September 28, 2018 – Even when surgeries are successful, patients report more pain, arthritis and other ailments. “Our study focused on a younger group — current and former military personnel ages 18-50 — and compared their medical records both before and after surgery,” said Daniel Rhon, DSc, an adjunct professor at the DCRI and lead author of a study published online Sept. 28 in the British Journal of Sports Medicine. 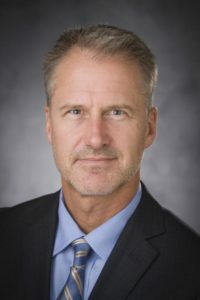 Rhon and colleagues — including senior author Chad Cook, PhD (pictured), program director of Duke’s Doctor of Physical Therapy Program and member of the DCRI — conducted the observational study by examining Military Health System records of 1,870 former and current service members undergoing arthroscopic hip surgery between 2004-2013. Patient records were collected for the 12 months prior to and 24 months after surgery. In addition to Rhon and Cook, study authors include Tina Greenlee, Bryant Marchant, and Charles D. Sissel.